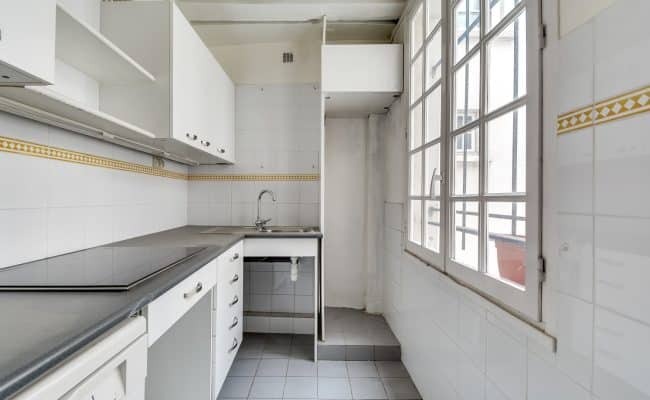 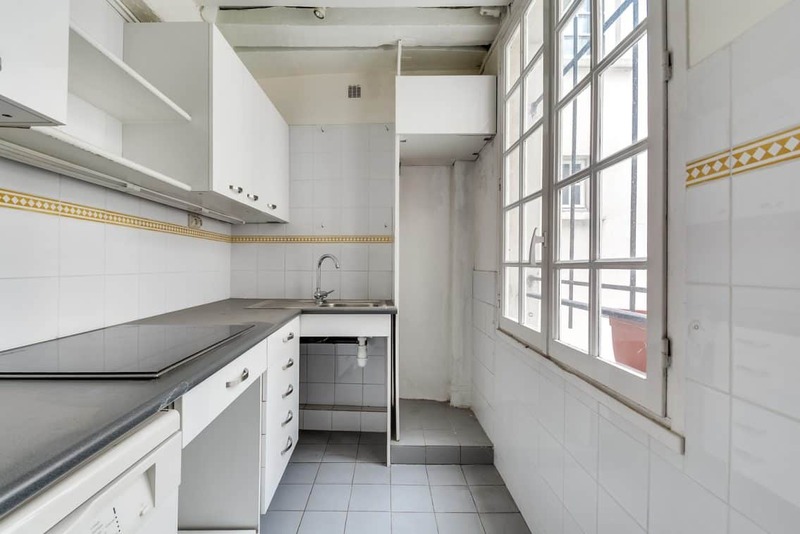 This 60m2, two-bedroom, one bath 3rd floor apartment has no wasted space. Its efficient layout offers a generous main living / dining space with high ceilings, and two-bedrooms, making the property perfect for rental investment. 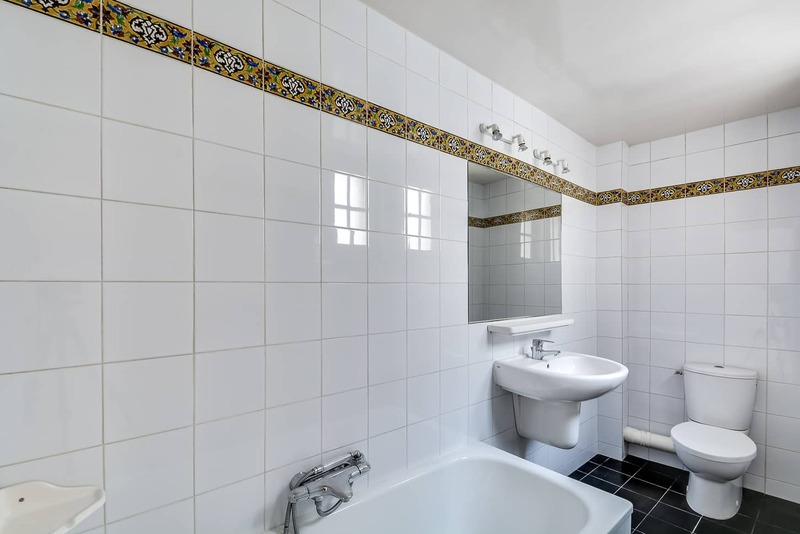 No renovation needs to be done, but a second bath could easily be added to the master bedroom giving each of the two bedrooms its own en-suite bath. 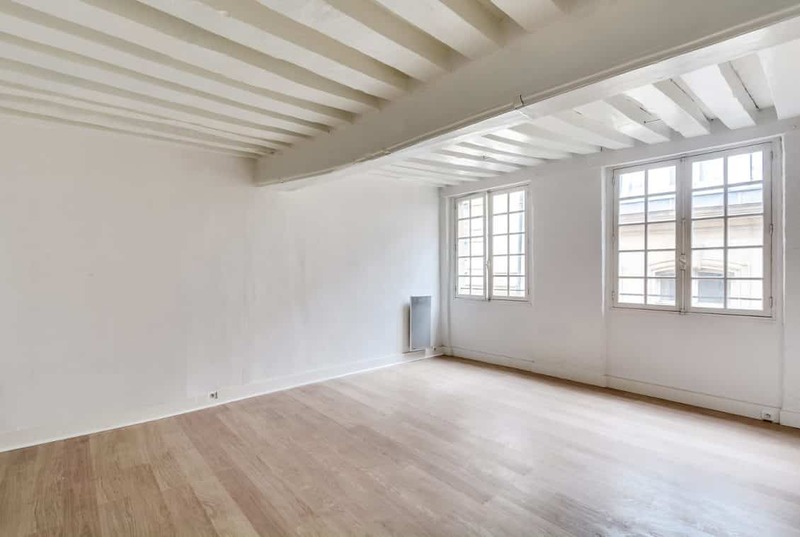 The property has an abundance of historical charm with white washed beams, large windows and a fireplace. 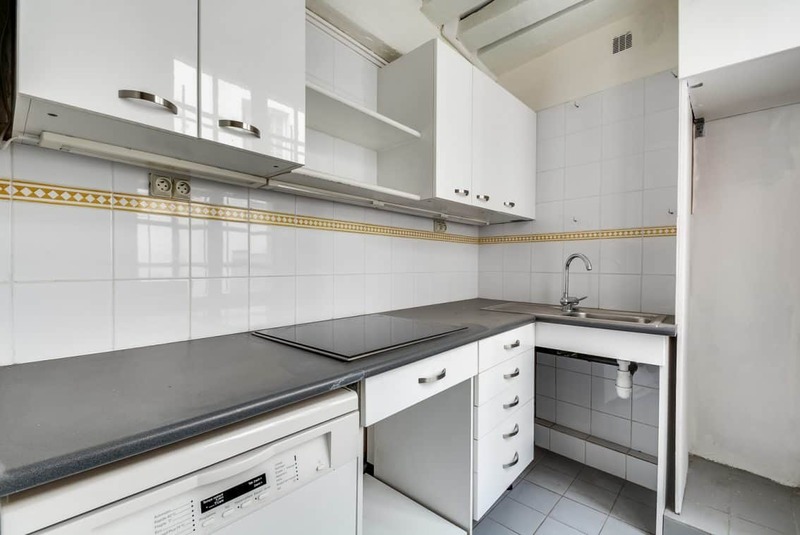 The modern, renovated kitchen can be left enclosed, or opened to the main living space. 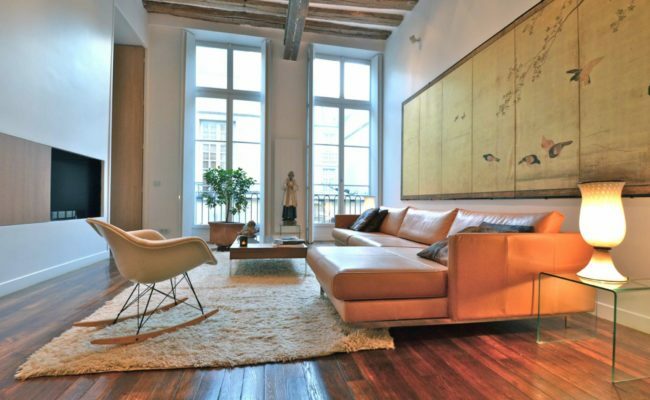 The apartment overlooks similar elegant, historical 17th century properties lining the narrow pedestrian street. 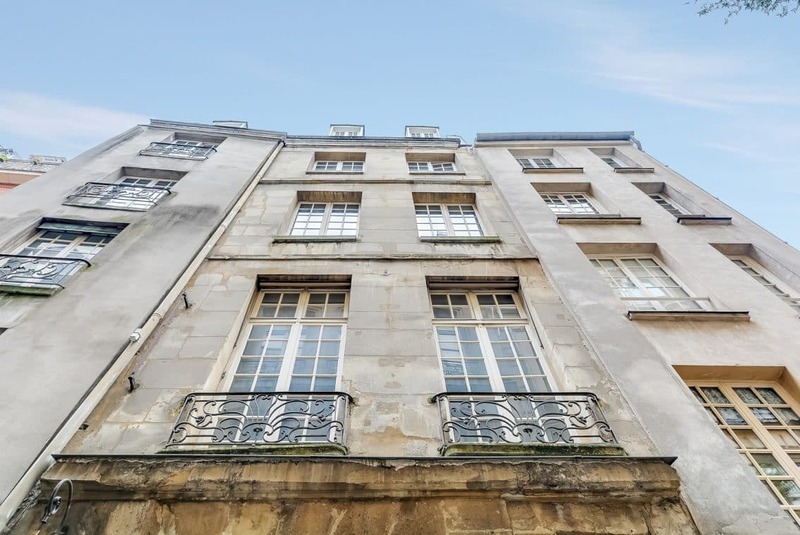 From the imposing stone façade with its iron balconette railings, the well-maintained building takes you back in time with its historical charm. 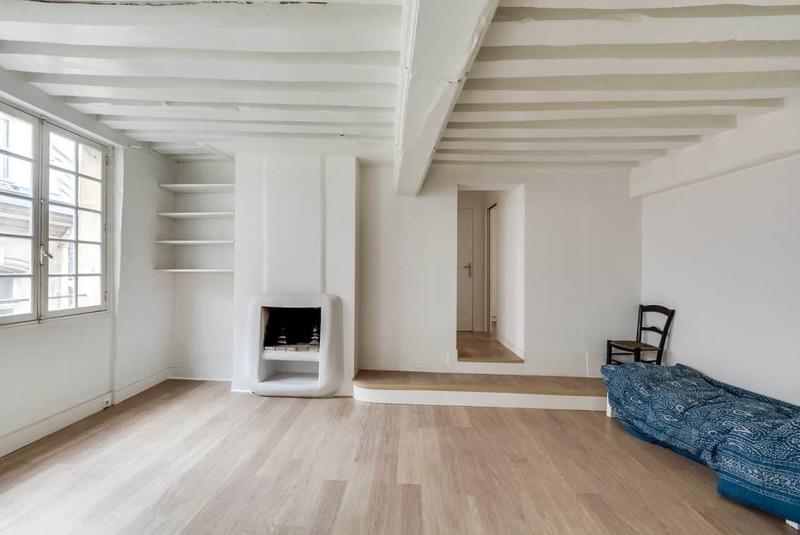 The generous staircase features polished old wood and charming red tomette tiles. 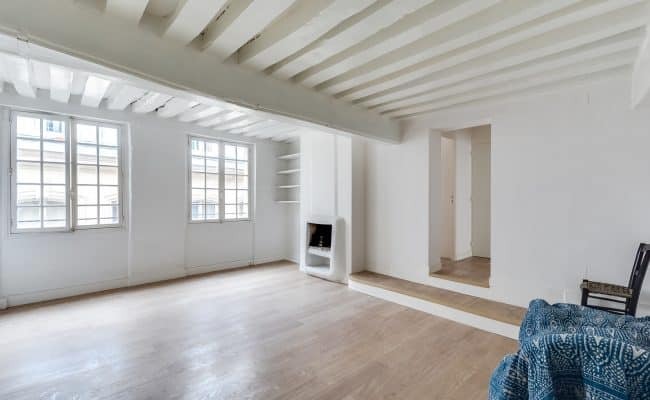 The stairway is lit by large windows, and overlooks a leafy courtyard. 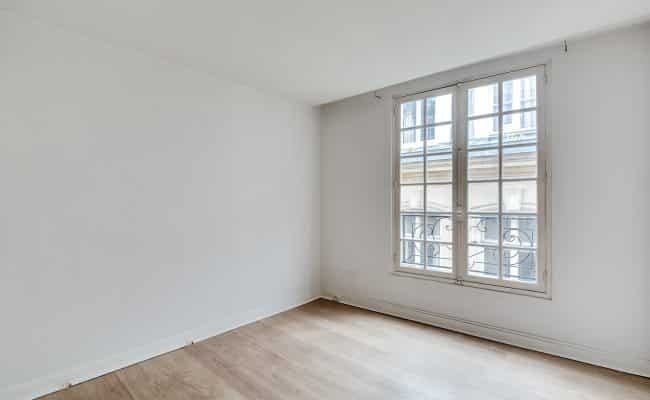 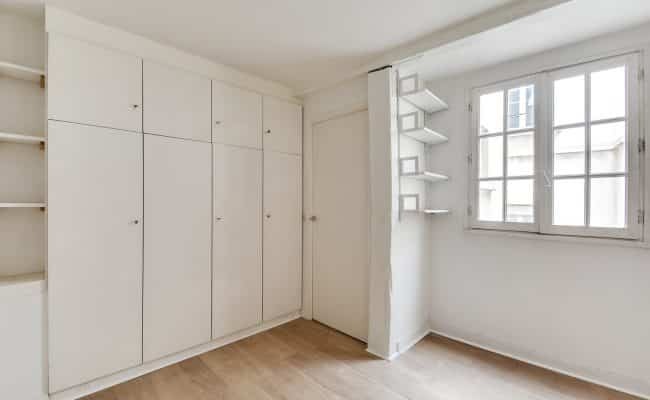 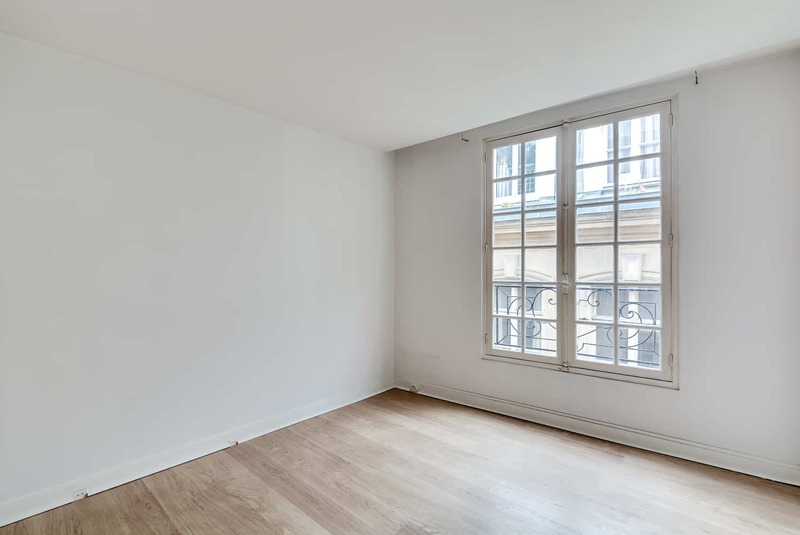 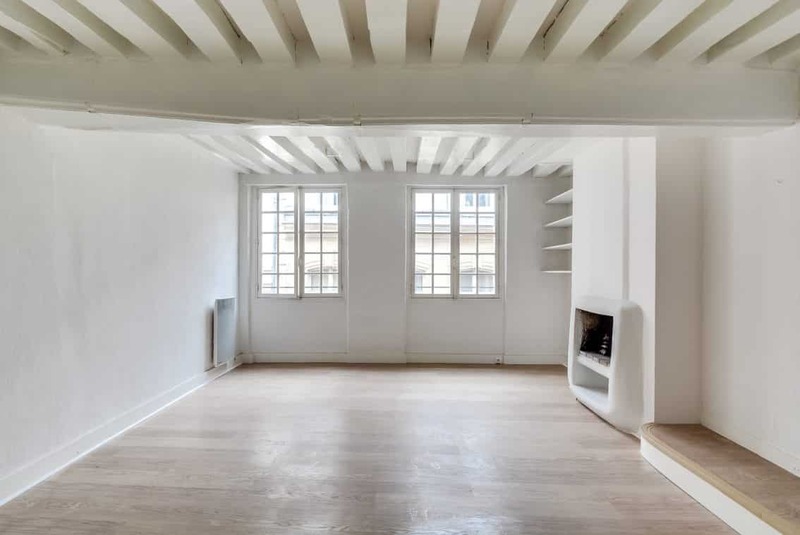 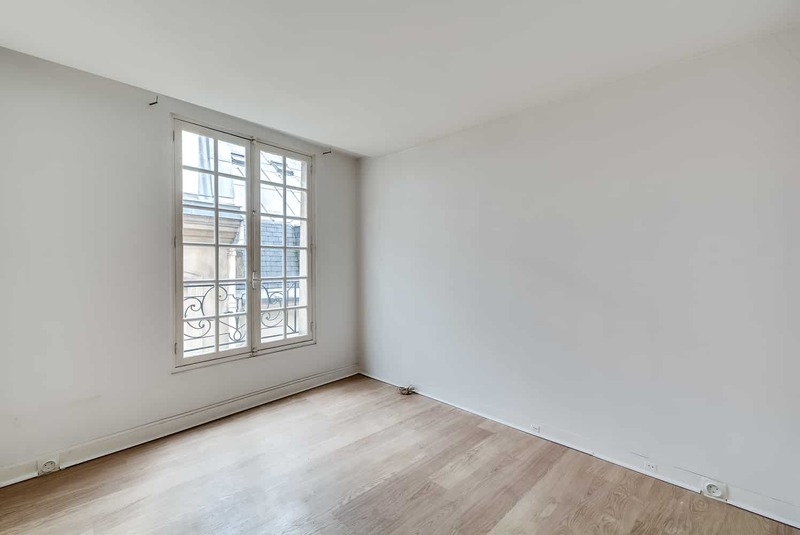 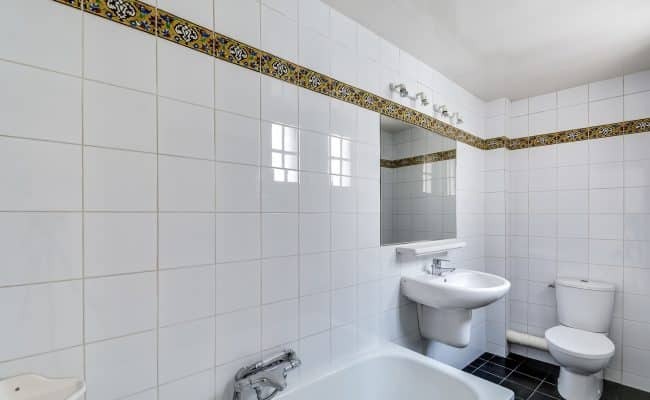 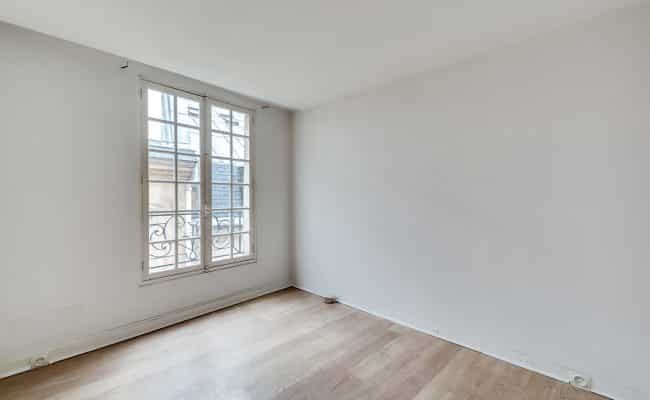 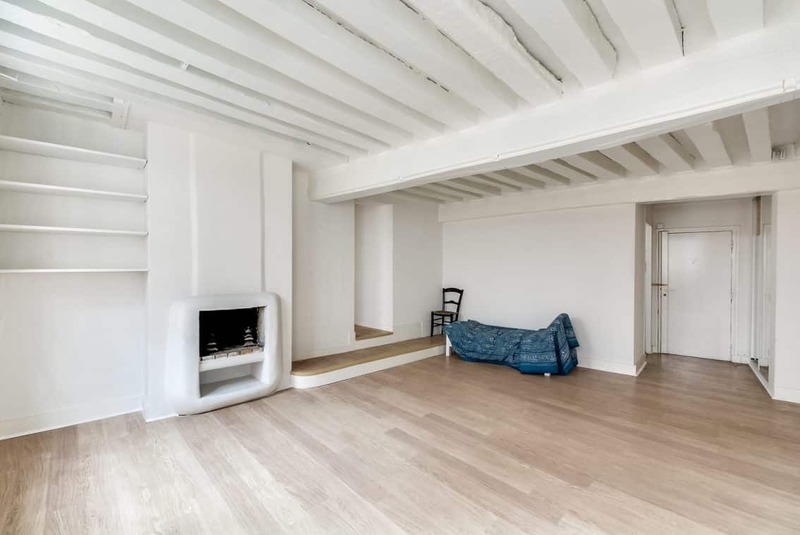 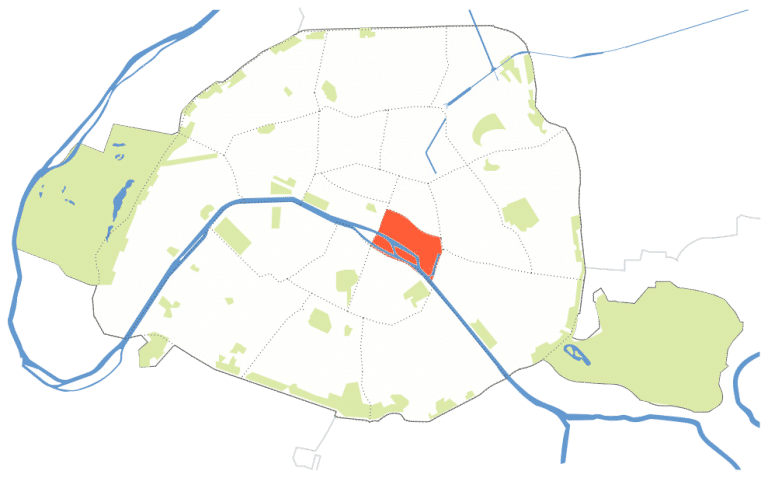 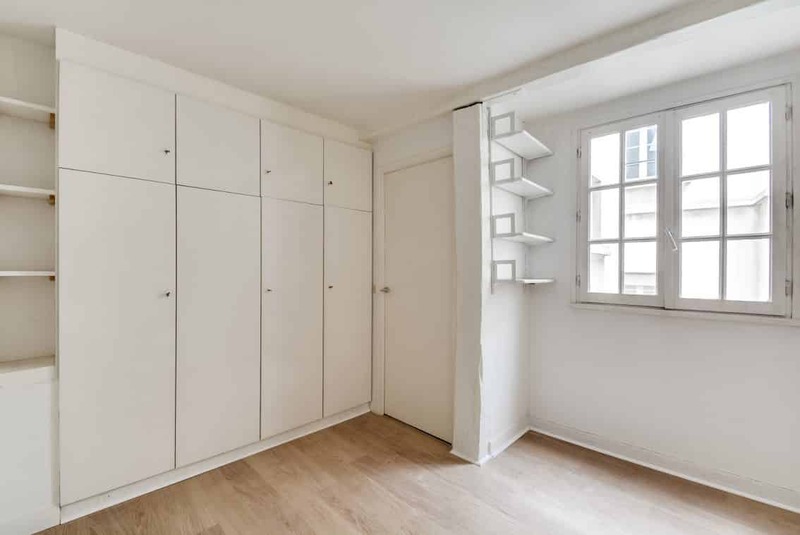 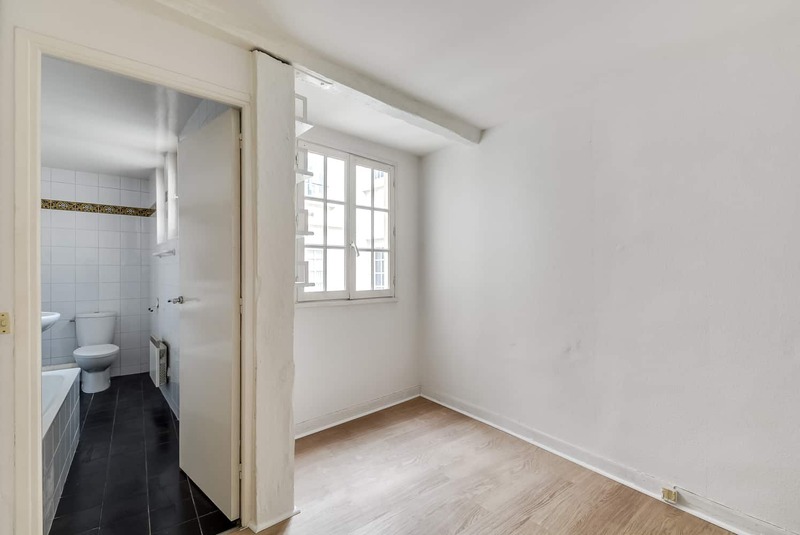 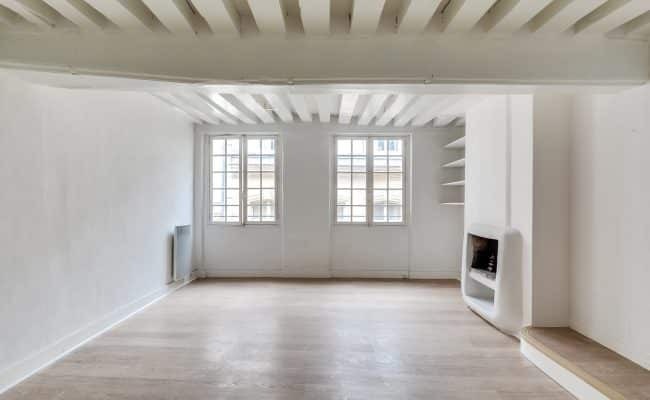 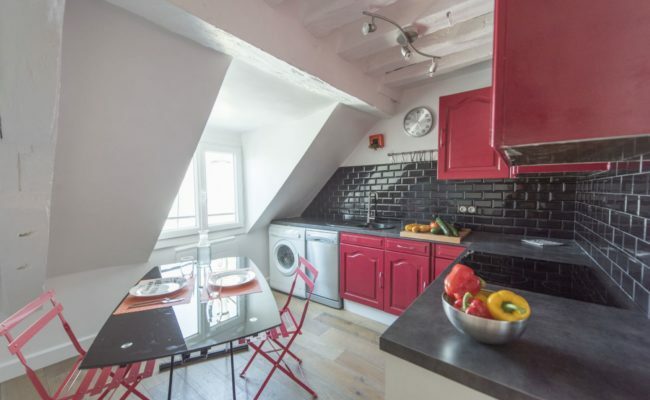 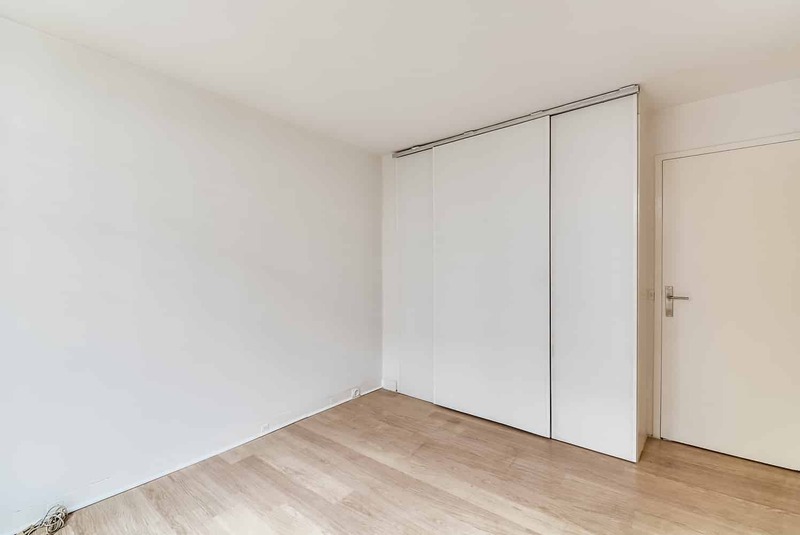 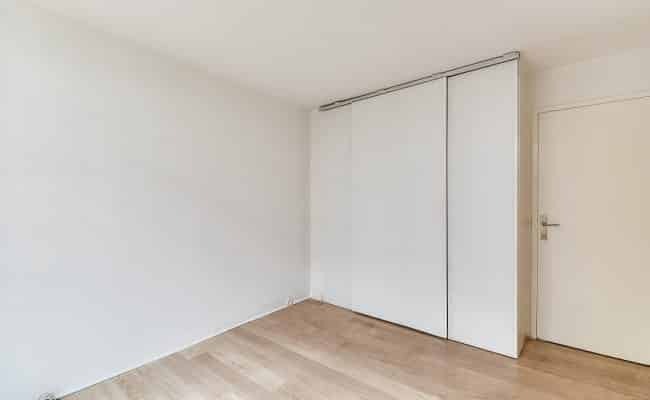 Situated in one of the city’s most desired neighborhoods in the Marais, on a quiet pedestrian street, this property provides the perfect combination of luxury, space and location. 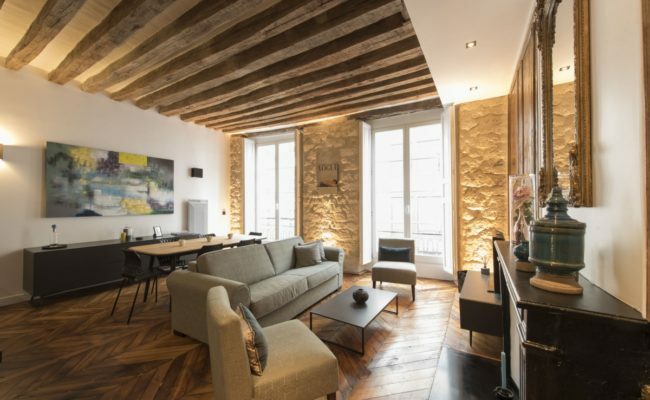 The ancient stone building dates from the 17th century and is located on one of the oldest streets in the historic center of Paris. 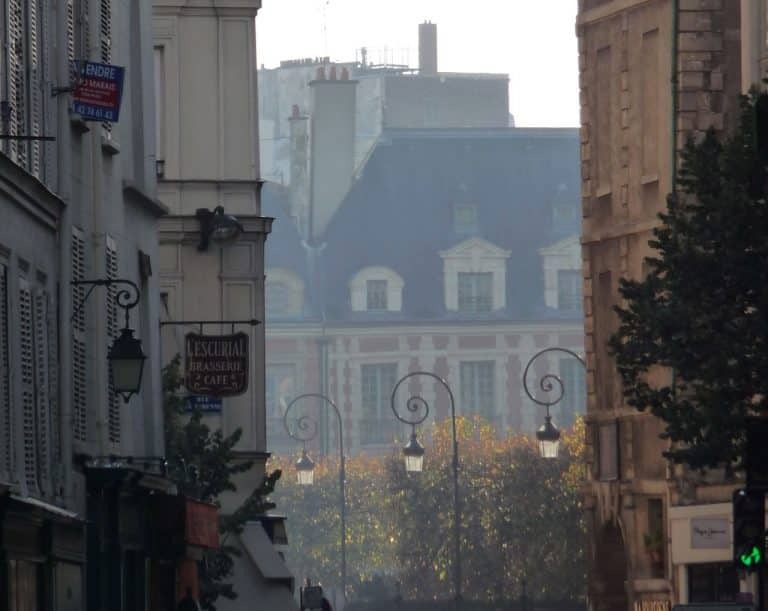 The charming street is lined with historical mansions, and the streets surrounding it offer world-class restaurants, cafes, museums and boutiques steps from the prestigious address. 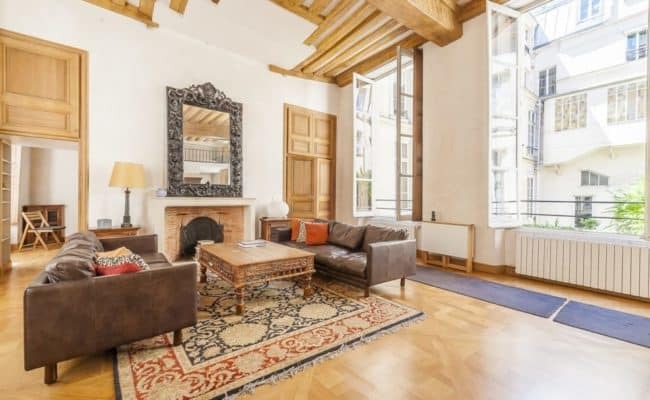 Perfect as a pied-a-terre or investment property. 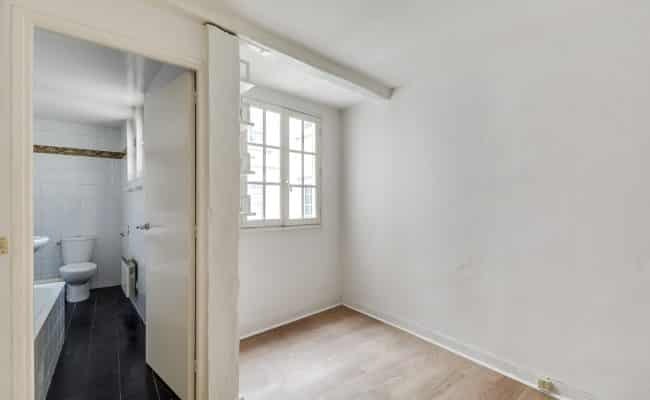 Rental estimate 3200 EUR per month.